Butler Newsroom | Butler University Celebrates Dr. Martin Luther King Jr.
Butler Newsroom > Butler Home Page > Butler University Celebrates Dr. Martin Luther King Jr.
Butler University’s Celebration of Diversity 2016 celebrates the legacy of Dr. Martin Luther King with “Where Do We Go From Here: Chaos or Community?”, January 16 to February 1 in various locations around campus and Indianapolis. Events will include The Peace Learning Center’s 18th Annual Dr. Martin Luther King Jr. Festival; the Indianapolis premiere of the film Jackson’s Run, whose cast includes Butler University sophomore Richie Berner; and a special display of historical civil rights artifacts from Selma, Alabama. For more information, contact the Office of Diversity Programs at (317) 940-6570. The Celebration of Diversity 2016 Dr. Martin Luther King Jr. Holiday activities are sponsored by the Efroymson Diversity Center, Office of the Provost, Department of Political Science, Voices of Deliverance Gospel Choir, Student Government Association Program Board, Division of Student Affairs, Peace Learning Center, Inc., Eugene and Marilyn Glick Indiana History Center, Morton-Finney Leadership Program, and the Office of Diversity Programs. -The Peace Learning Center’s 18th Annual “Dr. Martin Luther King, Jr. Festival” celebrating the life and legacy of Dr. Martin Luther King Jr. Enjoy music, dance, poetry, a community fair, and a free lunch. The festival will be held from 11:00 AM to 3:00 PM at the Christian Theological Seminary, 1100 West 42nd Street. Admission is free. For more information, contact the Peace Learning Center at 317-327-7144. -All are invited to celebrate the life and legacy of Dr. Martin Luther King Jr. at the Eugene and Marilyn Glick Indiana History Center, 450 West Ohio Street. Enjoy a day full of interactive activities to honor Dr. King’s legacy, including theatrical and musical performances, historical exhibits, the award-winning Indiana Experience, and a daylong service project, as guests are invited to help pack care packages to benefit Wheeler Mission. The celebration will be held from 10:00 a.m. to 5:00 p.m. Admission is free. For more information, contact the Eugene and Marilyn Glick Indiana History Center at 317-232-1882. -“Fulfilling the Dream,” a candlelight reflection honoring King’s life and legacy. The ceremony will begin at 6:30 p.m. in the Efroymson Diversity Center, Atherton Union 004. -Diversity Expressions Series: Celebrating Films on the Civil Rights Movement presents Freedom On My Mind (1994), an Academy Award-nominated documentary that was the first film to chronicle, in depth, the story of Freedom Summer and the complex and compelling history of the Mississippi voter registration struggles from 1961-1964. The screening will begin at 7:00 PM in the Efroymson Diversity Center, Atherton Union, Room 004. Refreshments will be served. -Special Butler University and Indianapolis premiere screening of Jackson’s Run (2014), a message of hope and healing, starring Rusty Martin, T.C. Stallings, and Butler University sophomore Richie Berner. The event will feature a post-screening dialogue with filmmakers Chris Robinson and Dan Lennix, and Berner. The screening will begin at 7:00 PM in the Reilly Room, Atherton Union. Admission is free. Donations of canned goods will be accepted to benefit the Midwest Food Bank. -Gospel in the DC: An evening of music, praise, and fellowship, featuring Butler’s Voices of Deliverance Gospel Choir. The performance will begin at 7:00 p.m. in the Efroymson Diversity Center, Atherton Union 004. Co-sponsored by Diversity Programs and the Voices of Deliverance Gospel Choir. -Selma Exhibit: A special exhibit of historical civil rights artifacts from Selma, Alabama, will be on display in the Efroymson Diversity Center, Atherton Union 004. Terri Jett, Special Assistant to the Provost for Diversity and Inclusion, will discuss the collection and its political and historical impact at 6:00 p.m.
-Diversity Expressions Series: Celebrating Films on the Civil Rights Movement presents Selma (2014), the critically acclaimed drama directed by Ava DuVernay. The film chronicles King’s campaign to secure equal voting rights, as a result of the epic march from Selma to Montgomery, Alabama, in 1965. The screening will begin at 7:00 p.m. in the Efroymson Diversity Center, Atherton Union, Room 004. Refreshments will be served. -Ferguson…Brooklyn…Baltimore…Paris…San Bernardino…Chicago…Indianapolis—Where Do We Go From Here? : A dialogue to explore the impact of King’s philosophical perspective on contemporary societal issues, with a focus on the resurgence of social and political activism, the Black Lives Matter movement, global and domestic terrorism, and the gun violence crisis. The dialogue will begin at 7:00 p.m. in the Efroymson Diversity Center, Atherton Union, Room 004. Refreshments will be served. 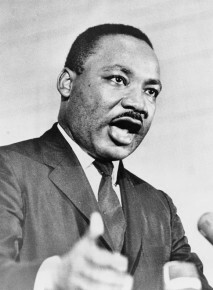 -Dr. Martin Luther King Jr. Student Oratorical Competition: Butler University students will honor the legacy of Dr. King by presenting a five-minute reflective oratory on the 2016 King Celebration theme, “Where Do We Go From Here: Chaos or Community?” The competition will begin at 7:00 p.m. in the Reilly Room, Atherton Union. Refreshments will be served.